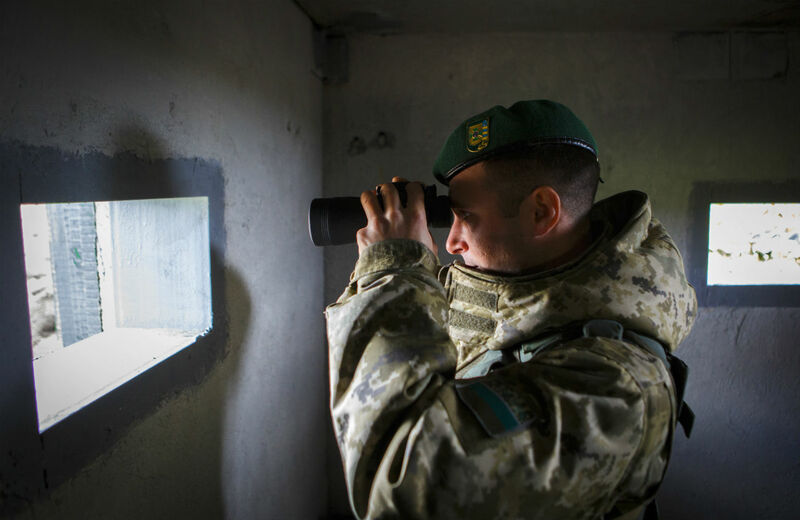 A soldier at the border checkpoint "Goptovka" on the Ukrainian-Russian border in Dergachevsky area. $160 million was allocated for this Cold War-style project. The proposed Ukrainian border wall with Russia, which later was nicknamed the ‘European Wall,’ has been halted due to a lack of financing, reported (in Russian) the Ukrainian news agency, UNIAN, citing Yulia Svetlichnaya, a representative of the Kharkov Region administration. “There is no funding for this project, so as far as I know it has stopped on the territory of the Kharkov Region,” the agency quoted Svetlichnya when she spoke at a local press conference on Jan. 19. She added that the local administration now only maintains those fortifications that were built earlier. Up to 4 billion hryvnia (about $160 million) had been allocated for this project until 2018. According to Ukraine’s State Border Service, the border with the Russian Federation measures 1,426 miles long. The idea to reinforce the border was first proposed in September 2014 by then Ukrainian Prime Minister Arseniy Yatsenyuk. The first stage of the plan envisaged beginning work immediately with that part of the border outside the conflict zone - in the Chernigov, Sumy, and Kharkov regions, as well as the north of the Lugansk Region. Almost 1,200 miles of the border with Russia was to be equipped with anti-tank ditches, observation towers and signaling systems, as well as fortified stations for border guards. It was also planned to build 17-meter high observation towers, video surveillance systems, communication towers, combat remote control modules, and surveillance posts. On sea, it was proposed to establish complete electronic optical surveillance.